Ducati’s crown jewel and their WSBK contender, the Panigale V4 R will now come with a dry clutch from factory. This move comes courtesy of the Ducati Corse race team as WSBK rules requires a homologated clutch i.e. the race bike cannot have a dry clutch if the homologated street bike model doesn’t have one. Aruba.it Racing- Ducati Superbike team confirmed the use of a dry-cutch in their pre-season testing, and therefore, Ducati corporate had to follow suite and make appropriate changes to the street bike. 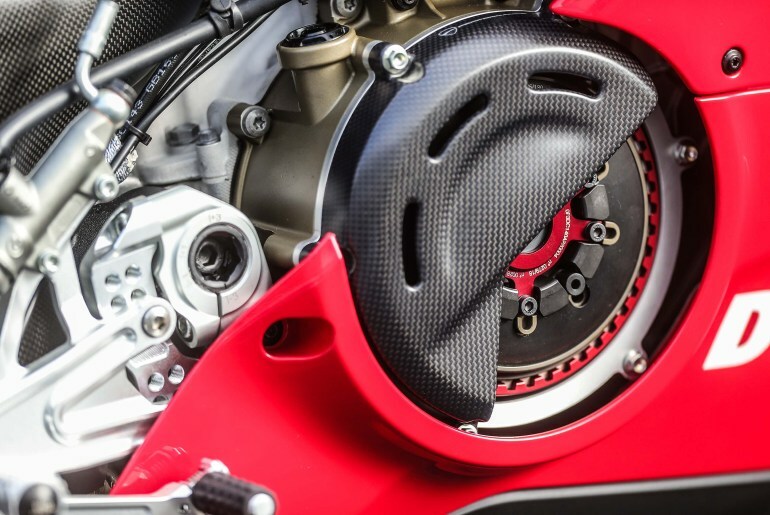 The dry clutch on duty in the Panigale V4 R comes from STM and is a slipper unit. To be precise, it is the STM EVO-SBK dry clutch model with 9 pressure plates and an adjustable secondary spring. It’s a part of the Ducati DNA, we mean the rattle of the dry clutch. Unfortunately, the sound of a dry clutch is almost impossible to get past the Euro4 and other noise restrictions so it’ll be quite interesting to see how Ducati is planning to get past this blockade on the street bike. While the specifics of this announcement (specific models) haven’t been revealed, it is quite likely that the 1103cc Stradale V4 engine might find a home in naked, touring and adventure models. The Ducati boss also stated that they were quite surprised with how the Panigale V4 R turned out to be which features the 998cc V4 engine. Last edited by NewsReaper; 12-05-2018 at 12:00 PM. It is a strange time we're witnessing. And now we have an exotic dry clutch, one way to increase performance by the way... But, one that will be probably replaced at every service.... And Euro 4, all the best trying to match it. Maybe Ducati will try keeping the dry clutch covered to reduce noise, in a way that air/ventilation is still there? Doesn't sound like much of a plan to me. Anyhow. Last edited by Samarth 619; 12-06-2018 at 12:05 AM. Scrambler 399CC, DiavelX, Hyperstrada 939, Panigale 959 and Ducati Enduro 1200 : Ducati 2016! 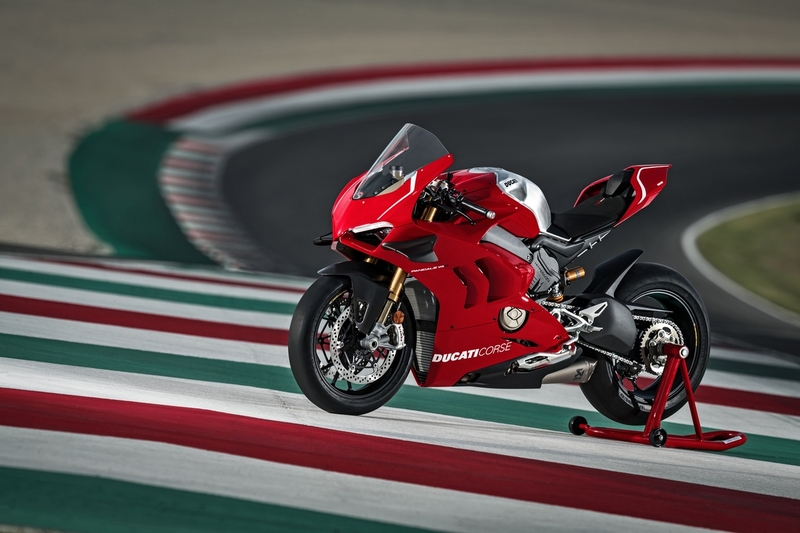 Ducati Panigale 959 official with 157 bhp. Panigale 899 Discontinued.